Is ‘You can’t trust Issaquah, Part 5’ around the corner? Is Issaquah about to equivocate on prior indications that it would release the Klahanie Potential Annexation Area if it lost the vote February 11? It did lose the vote-albeit by a mere 32–but outside the margin for a recount. Despite Mayor Fred Butler pledging during his successful campaign for election in November saying he’d release the PAA and not gerrymander it, Butler’s been silent so far. What’s there to sort out? Issaquah lost. Period. Butler’s silence is disturbing. He needs to step up and honor his campaign pledge. One of the issues in the annexation vote was the inability to trust anything Issaquah says it will do. Butler, as the first new mayor in some 16 years, immediately stepped up to resolve the water wars. It’s already past due to step up and take moves to honor his word on annexation. As for Winterstein and the Issaquah City Council: enough, already. You lost, and that’s that. Stop holding the PAA hostage. You could have annexed the area in 2005 if you weren’t greedy about the debt issue. Give it up now. Author cityhamiltonPosted on March 6, 2014 Categories Issaquah, Issaquah City Council, Klahanie, Sammamish, Sammamish City CouncilTags Fred Butler, Issaquah, Issaquah City Council, Issaquah Reporter, Klahanie, Klahanie annexation, Paul Winterstein, Sammamish, Sammamish City Council1 Comment on Is ‘You can’t trust Issaquah, Part 5’ around the corner? I’ve obtained the certified election results of the Klahanie annexation vote to Issaquah, and plotted them out by precinct. Click the map to enlarge. You’ll note that I’ve marked “SE 48th St. Extended,” which bisects the Brookshire precinct at the very southern tip. There has been discussion that this portion of the Klahanie Potential Annexation Area could be retained by Issaquah while the rest goes to Sammamish. This hardly makes sense to me, given that this is just the extreme southern tip of the PAA. The Sammamish City Council, acting to tamp down the potential annexation of the Klahanie area to Issaquah, promised a Christmas Tree spending package to entice a “no” vote. As I wrote previously, this was one of many reasons Issaquah lost the election. 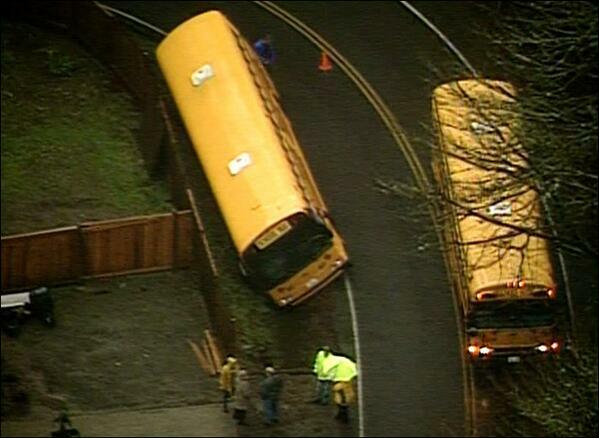 Today there was a school bus accident in Sammamish–fortunately with only one very minor injury–on an arterial that has been hazardous from the day we incorporated, a faulty design inherited from King County days. The accident was on SE 24th approaching 200th Ave SE from the west. I’ve noted to the City Council and some of its members on many occasions that there are no shoulders and the ditches create a hazard. There are no walking paths nor bike lanes. Many times I’ve driven up the hill there have been bicyclists in the traffic lane chugging their way up. Because there are no bike lanes or shoulders, cars that want to pass them are faced with entering the oncoming lane. There are plenty of blind curves. 24th is a designated arterial, but the City has done nothing to improve the roadway since incorporation. A few years ago, a walking path was created from 212th to 204th, a positive step, but nothing more has been done since then. Before the City Council goes off on a spending spree for its Christmas Tree list for Klahanie, it needs to take care of some hazardous road conditions (and fill the potholes that one city councilman says don’t exist but which really do) in our City. If there was any last-ditch hope by supporters that remaining votes would bring an affirmative vote to annex the Klahanie Potential Annexation Area to Issaquah, it’s gone. Today’s vote count (Friday, Feb. 21) saw only three more votes added to the tally–one for the “Against Annexation” side and two for the “For Annexation” side. The vote now is 1,534 Against Annexation and 1,504 “For Annexation.” The spread narrowed one vote to 30 and the percentages are now 50.49% Against Annexation and 49.51% For Annexation. This is outside the requirement of 0.25% for a mandatory recount. The election is certified on Monday. There could be a couple more votes come in, but hardly enough to change the outcome. Now it’s up to Issaquah’s City Council to throw in the towel and give up the Klahanie PAA to Sammamish. Today is Thursday, Feb. 20. 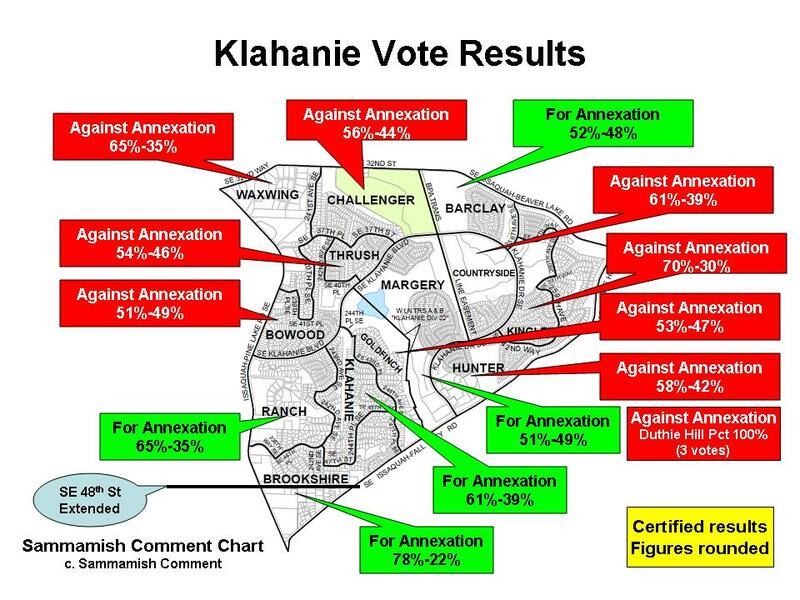 A mere seven more votes were counted in the Klahanie annexation vote: two more “For Annexation” and five more “Against Annexation.” The spread is now 31, up from 28 yesterday. 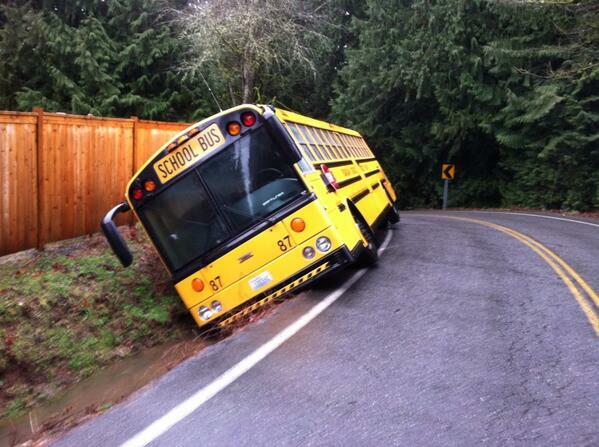 I can now provide this analysis of How Issaquah lost Klahanie. It had to come as a shock to Issaquah government officials: residents of the Klahanie Potential Annexation Area sent them packing in February 11’s annexation vote. It wasn’t just that residents rejected the prospect of assuming a portion of Issaquah’s current debt load—that happened in 2005, despite overwhelmingly approving annexation itself. This time, the election night results presented a shocking six vote margin in favor of annexation. The results from the next day narrowed this to one vote. The next day, the vote counting swung in favor of “Against Annexation” with a 34 vote margin. And it got worse from there. How did Issaquah lose Klahanie? Arrogance. A sense of entitlement. A sense of what Klahanie could do for Issaquah, not what Issaquah could offer Klahanie. Past statements making it clear improved roads and parks for the area weren’t in the cards. An aggressive Sammamish offering an alternative. A history that demonstrated Issaquah had trust and integrity issues. A nasty fight with the Sammamish Water and Sewer District that revealed the worst of Issaquah government. And an effective citizens uprising in the form of Klahanie Choice. The King County website is down (at 4pm), so I called the Elections department to get an update on the Klahanie vote. I was told there wasn’t going to be an update today anyway because so few ballots had been received to count; this is county-wide, but obviously has application to the Klahanie vote. So we are left with Friday’s results, where the “Against Annexation” is leading “For Annexation” by 34 votes. This also suggests there are no appreciable ballots left to be received (unless there is a flood of votes from the military service personnel overseas who are focused on the annexation issue). Thus, as I did on Friday, I continue to “call” the election: the Klahanie annexation to Issaquah was rejected. The result is outside the automatic recount. Issaquah could pay for a recount, but I see little point in doing so.